It’s a puppet theater! Personally, I don’t think a puppet theater is absolutely necessary to run a puppet show. 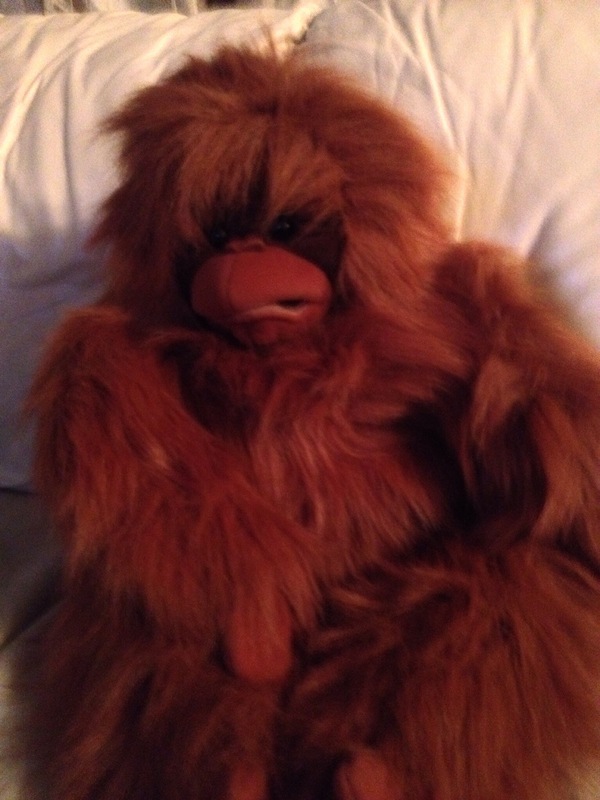 I think that if you do it right, most kids will focus on the puppet rather than the puppeteer, regardless if you’re doing a ventriloquism act or not. 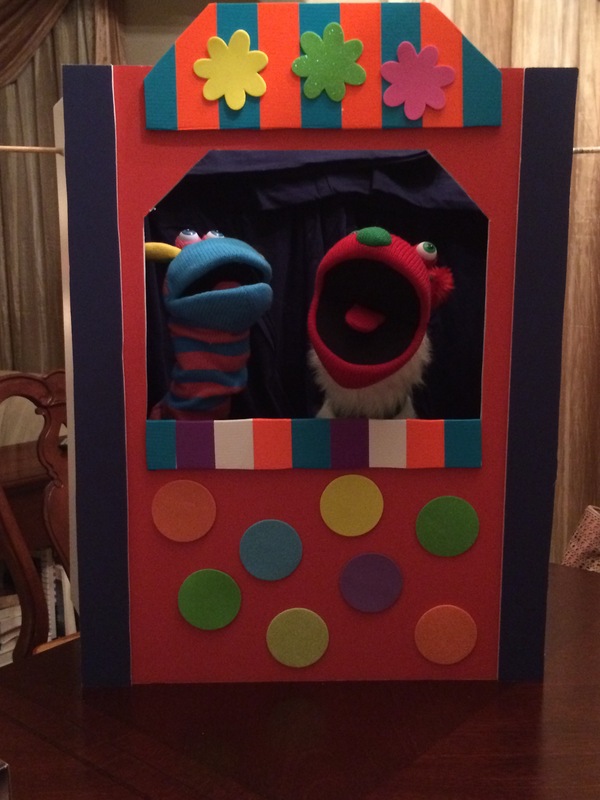 The wife, though, insisted I have a puppet theater, so there you go. 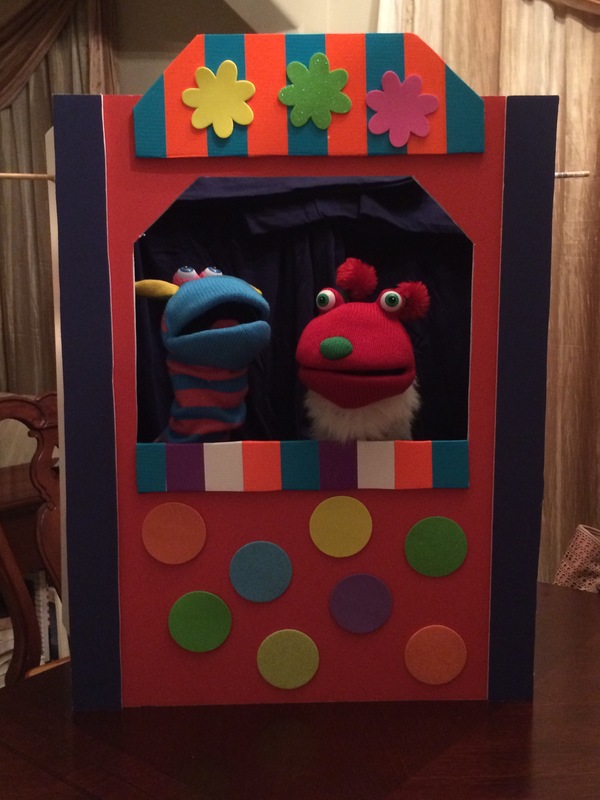 I found an easy step-by-step instruction on how to build your own puppet theater on Pinterest. Basically, this is made of three foam boards, two pillow cases, a wooden dowel, foam shapes you can get from Michael’s, and a lot of duct tape. On the sides, the dark sides of the foam boards are facing inside. That’s so the inside of the box itself is dark so the viewer focuses on the puppets.